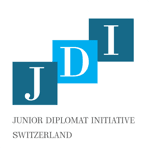 JDI had the incredible opportunity of touring the Protocol Services of the Geneva Airport! 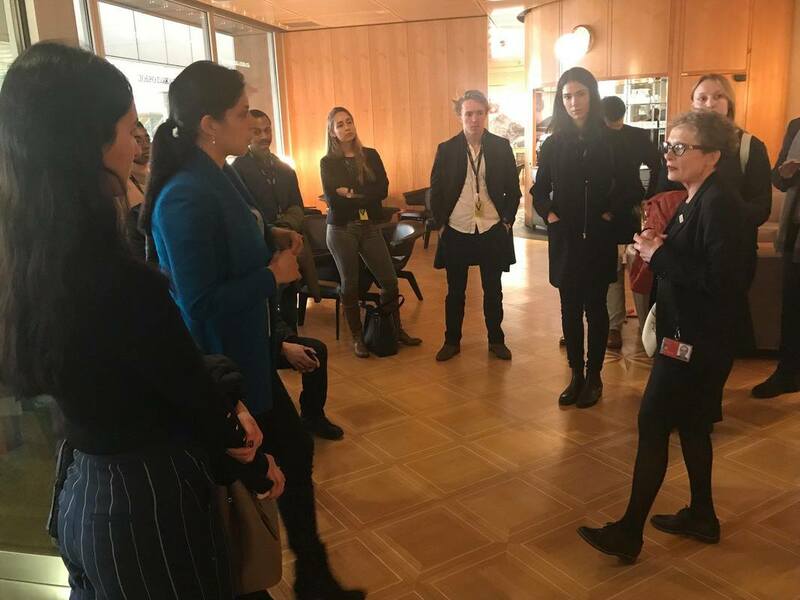 The protocol team at the Geneva Airports offers a unique, free service for VIP diplomats that reflects a "spirit of diplomacy." A team of 17 works in shifts to personally receive VIPs, host them in a VIP lounge, and coordinate check-in, baggage, immigration, and more. Last year the team handled 4,688 operations. The lounge often becomes an informal meeting place for dignitaries from different countries, in its own way helping to serve as a "step for peace." 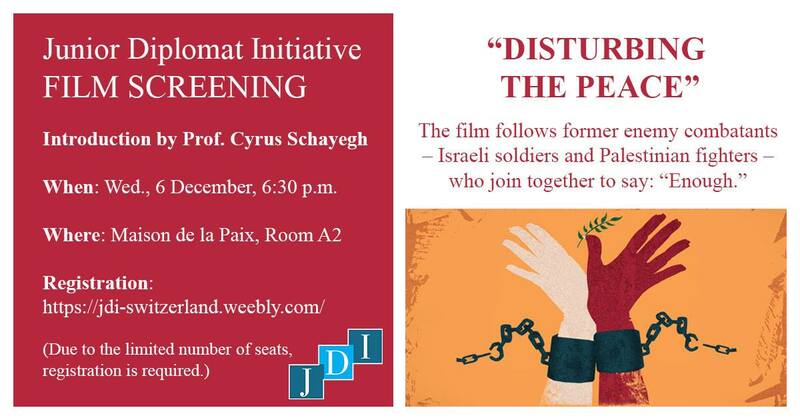 "Disturbing the Peace" follows ordinary people from Palestine and Israel who took extraordinary actions by standing up for what they believe in. It is about people born in conflict, sworn to be enemies, who challenged their fate. The documentary is a call to give up preconceptions and delve into the world of personal motivations, thoughts, and emotions of both sides in one of the most complex conflicts in history. It is an attempt to listen to voices rather than sounds of guns and bombs. ​The goal of the screening was to look into the role of individuals and communities in putting pressure on their government to resort to diplomacy and negotiation instead of war and conflict. Jovan Kurbalija, Director of DiploFoundation, led the seminar. The session aimed to introduce participants to diplomatic immunities and privileges through case studies. In particular, the session focused on the application of this traditional concept in the digital era. Does diplomats’ data enjoy the same protection as his printed archive? 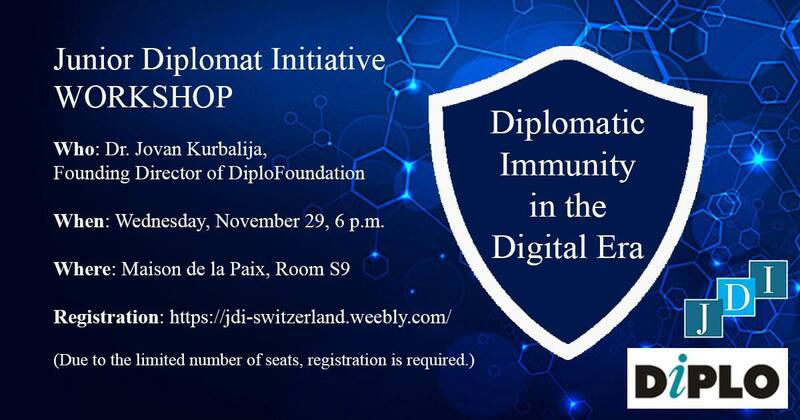 What about protection of diplomatic communication via the Internet?